Franciska is a Hungarian, London-based director, performance maker and critic. Her main interest lies in how accent and identity can shape one another. In her performance art she works with voiceover, subtitles, subtext, culture and language, and the translation and transition of meaning. 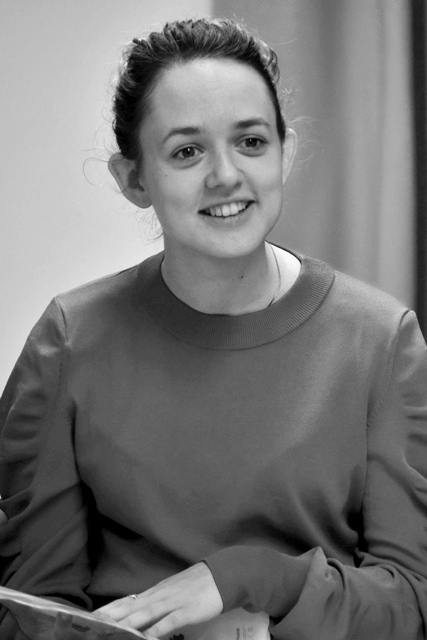 She has directed new writing at venues such as The Cockpit, the Young Vic’s Platform, Above the Arts, and the Bread and Roses Theatre, but also enjoys working in found spaces and incorporating unique audience arrangements. In early 2018, Franciska joined Reboot Company to direct the production of Reboot: Shorts at The Bunker.